It’s December now, and VeganMoFo is over for another year! We really hope you’ve enjoyed this month and have both created and discovered lots of wonderful vegan food. It’s been great seeing people from all over the world post about veganism and vegan food all month long, and hopefully this month has inspired you to keep up the vegan eating! For this final round up, I’ll include a mixture of posts that followed the daily prompts, and posts that didn’t. The prompts and weekly themes have proved an excellent way to keep things interesting and see how different people interpret them, but it’s also been fascinating to see others create their own themes and post food outside of the prompts! I’ll also include lots of posts, because it’s been very hard to choose and I’d like to showcase as much as possible! Finally, we’d like to say thank you to everyone who participated this year – it’s been wonderful to get to know you all. This isn’t the last you’ll hear of us though – we’ve got some great plans in the works for VeganMoFo, so stay tuned and stay vegan! Day 28: Holiday Bake Day! What are you planning on baking over the winter holidays? Do you make cake, or cookies? Or something savoury? 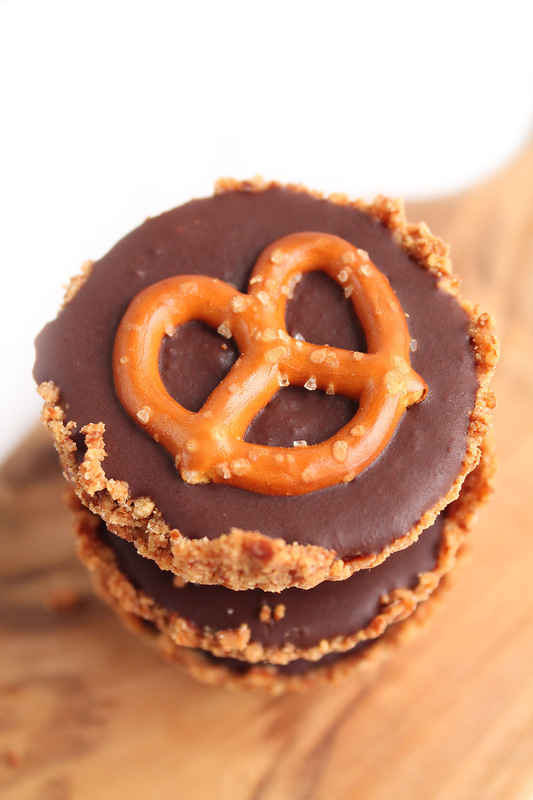 Mm, don’t these pretzel tarts look amazing? Salted sweet treats are all the rage at the moment, and mixing crispy, salty pretzels with sweet creamy chocolate ganache sounds heavenly! 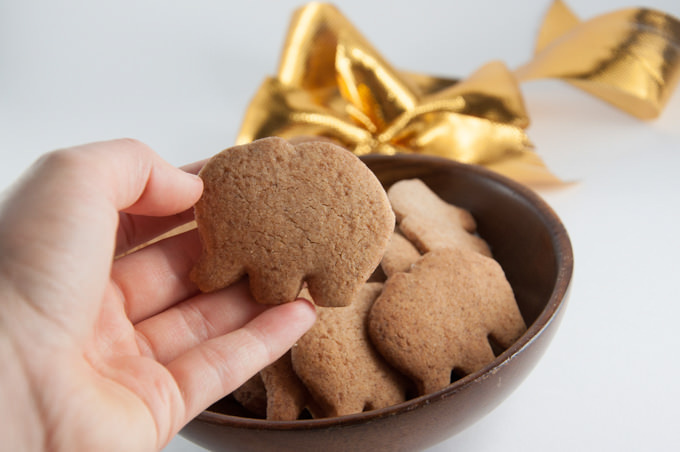 Ok, so how adorable are these elephant shaped gingerbread cookies from Elephantastic Vegan? And they match the blog name too! These cookies are made without molasses, which is great if you don’t like using it or find it hard to get hold of. Jennifer over at SororiTea Sisters (what a great name!) 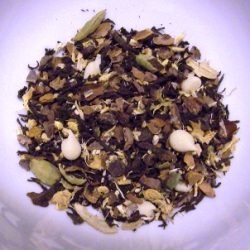 has been blogging a month of vegan tea! For holiday baking day, she posted this “Chocolate Marshmallow Spicier Chai”, which comes with vegan white chocolate chips and vegan marshmallows – definitely sounds like something you’d bake! Vegan Dollhouse baked this absolutely adorable Grasshopper Cake. 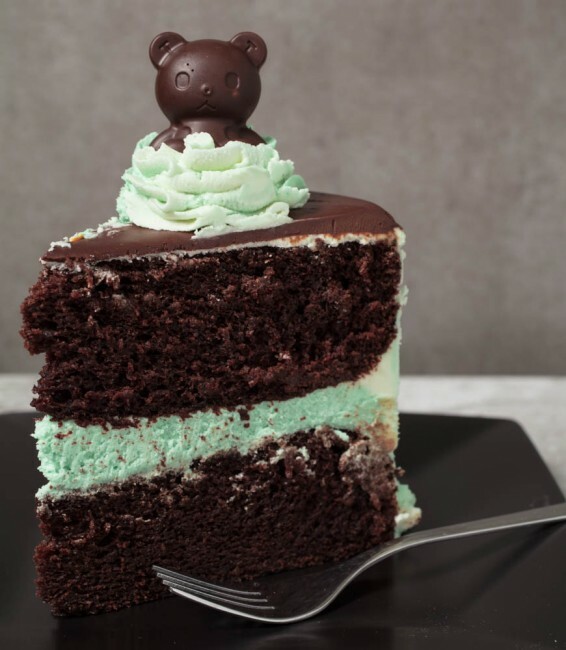 The little kitty chocolates on the top are handmade – and flavoured with mint extract. This is definitely a very impressive holiday bake. Rather than bake cookies or cake, Jobo baked lasagne! 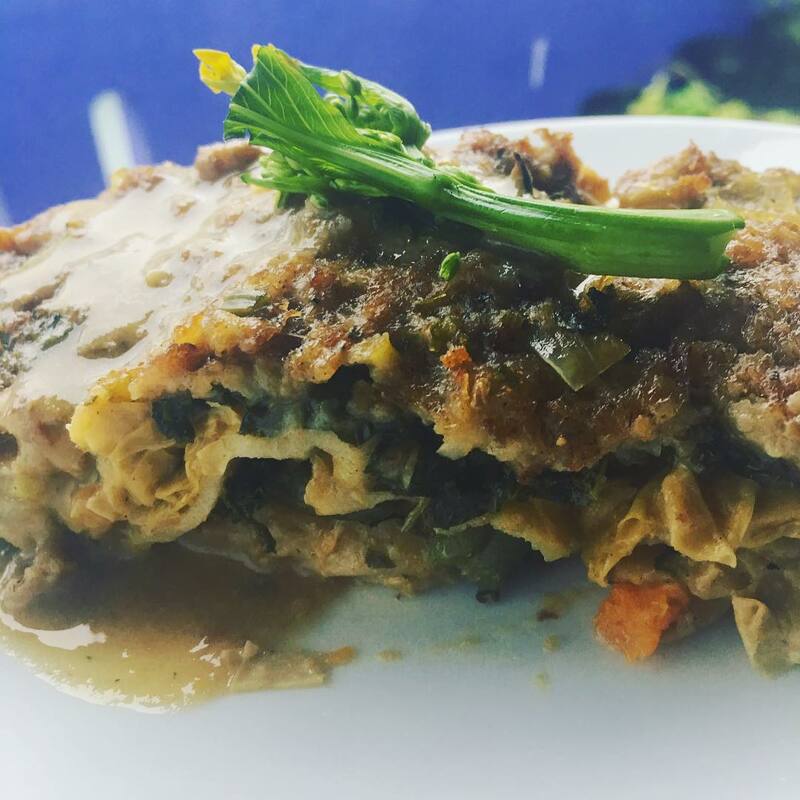 And Thanksgiving lasagne at that – with mushroom gravy, sweet potatoes, green beans, turkey spiced yuba, kale, and all topped with stuffing. Uhm, who is hungry right now? I know I am. Day 29: Holiday Test Run – It’s always good to practice – show off your hits and misses. Amy from Veggies Save the Day (I’ve come across some great blog names this month!) 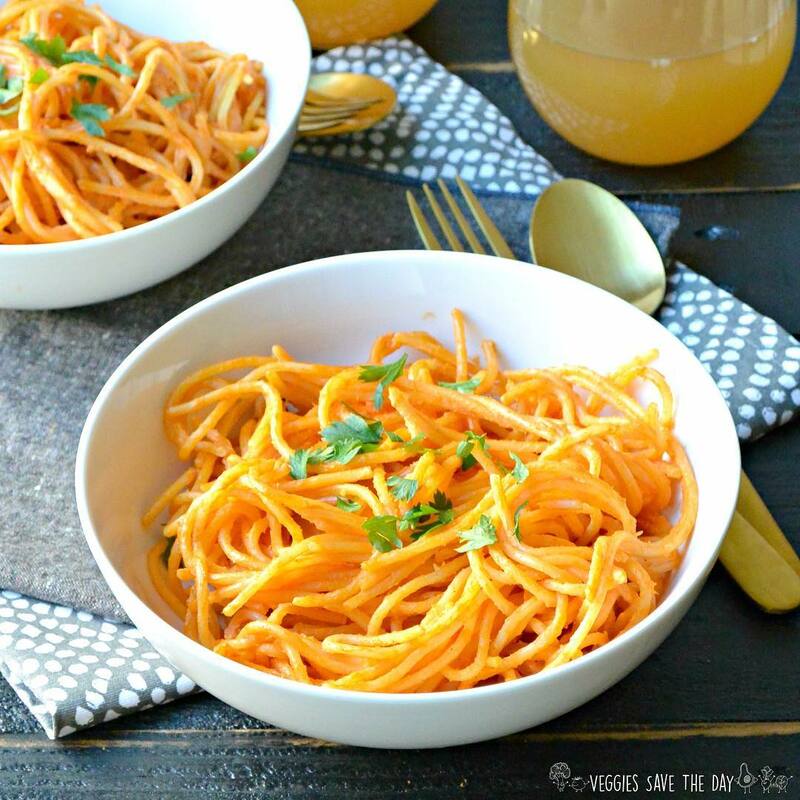 plans to make this Creamy Sundried Tomato Pasta for Christmas. I’m never going to say no to pasta and this looks so creamy and tomatoey it’ll be just perfect for a special meal. 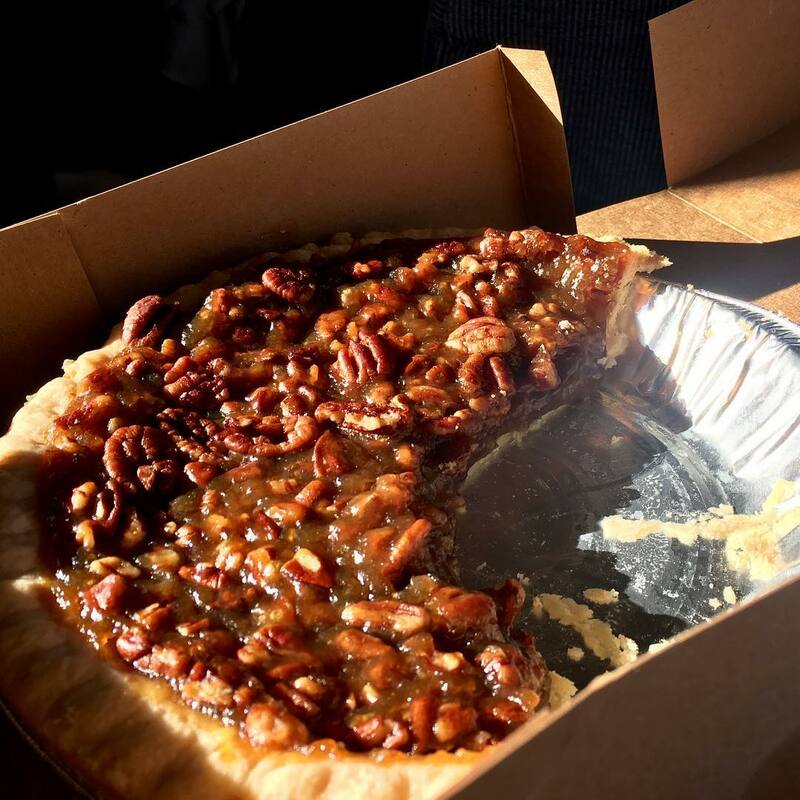 Curupita on instagram tested out this pecan pie from Whole Foods, which will form part of their family Christmas. How great is it that you can buy pies as delicious as this from shops these days? 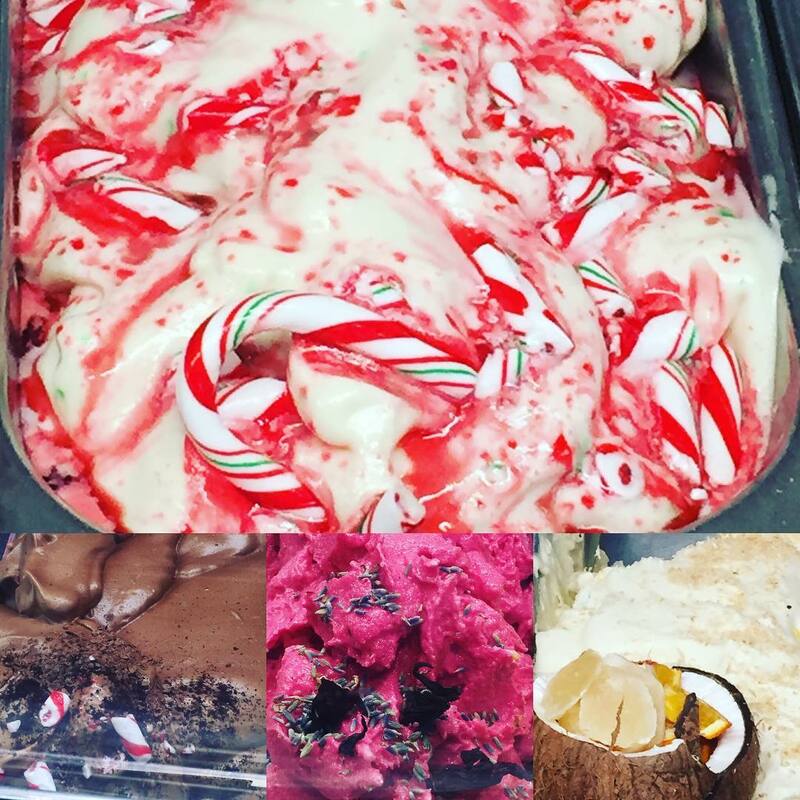 NotJustGreens has been traveling for part of MoFo and came across a gelato shop with some wonderful vegan options – including this very seasonal candy cane gelato. Also pictured are peppermint mocha, lavender hibiscus, and coconut ginger. Don’t those flavours sound amazing? Garrick has been posting some very innovative, delicious looking meals this VeganMoFo and this looks to be no exception. Apparently, their Christmas consists of mashed potatoes, gravy, and meatballs, which sounds pretty great to me! 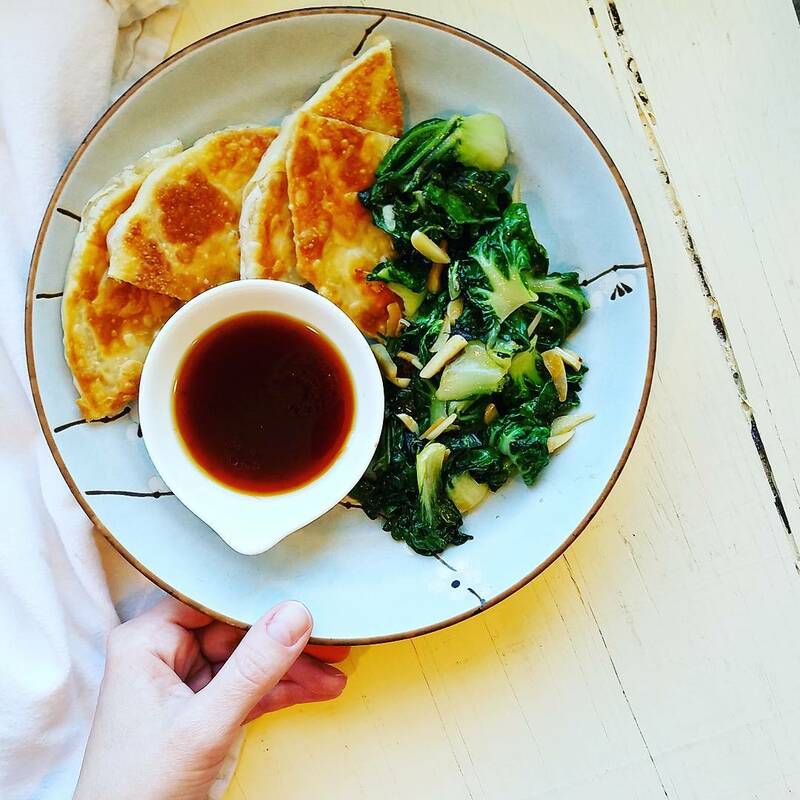 Erin posted her lunch, which was yam pancake with garlic bok choy – doesn’t it look so simple and delicious? And such a good looking photo too which is always a bonus! Day 30: Food Gifts – Do you like to give food as a gift? Or receive? Show/tell us! 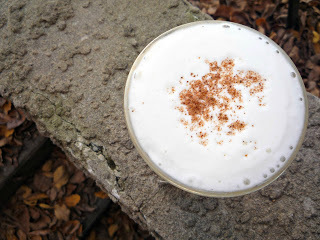 Sarah posted her recipe for Easy Vegan Eggnog – I’ll leave you with a quote from her: “This creamy vegan eggnog is so thick that it basically requires booze” – yeah, that sounds pretty good to me. Made with aquafaba – the new vegan miracle food – this sounds like a great way to make a Christmassy treat. Kristina made this super fluffy and tasty looking cinnamon roll which would be great as a holiday gift. 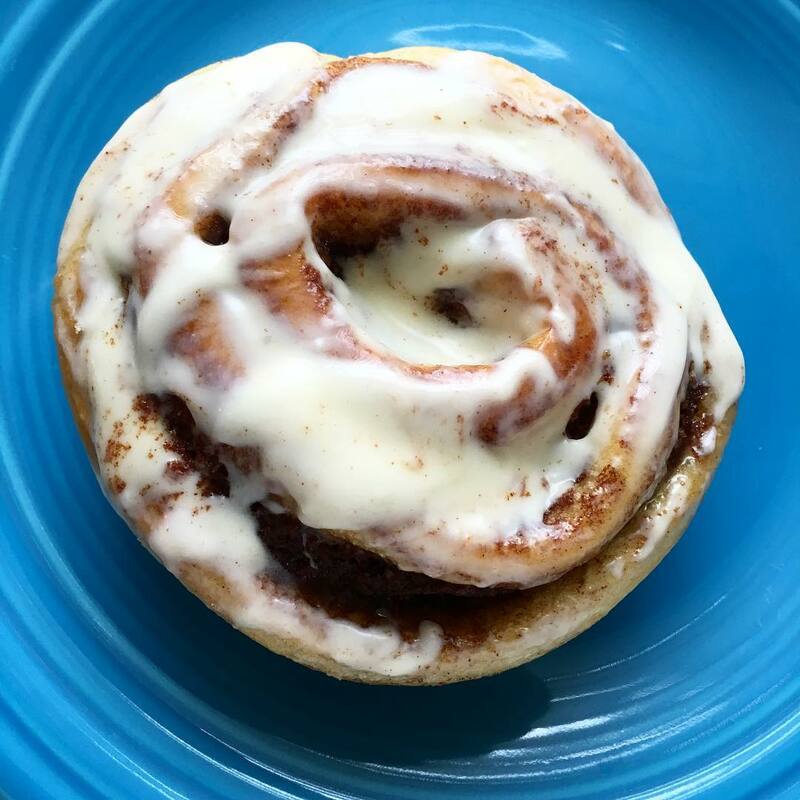 Who would turn down cinnamon rolls? Sophie shares a gift that she loved receiving. 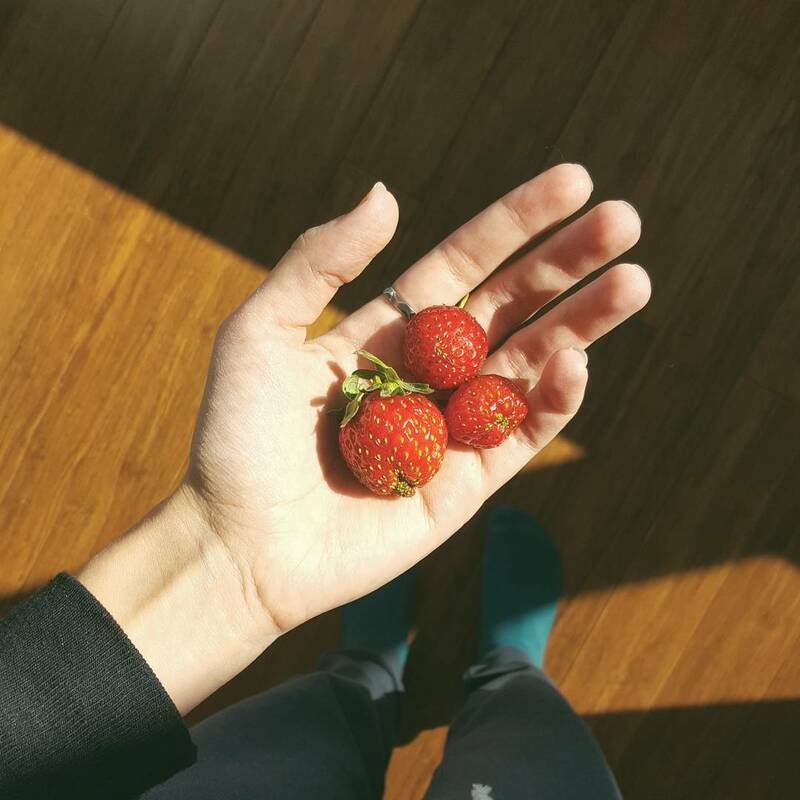 These Québécoise strawberries were brought to her by her in-laws and look very tasty – I wish it was strawberry season again! 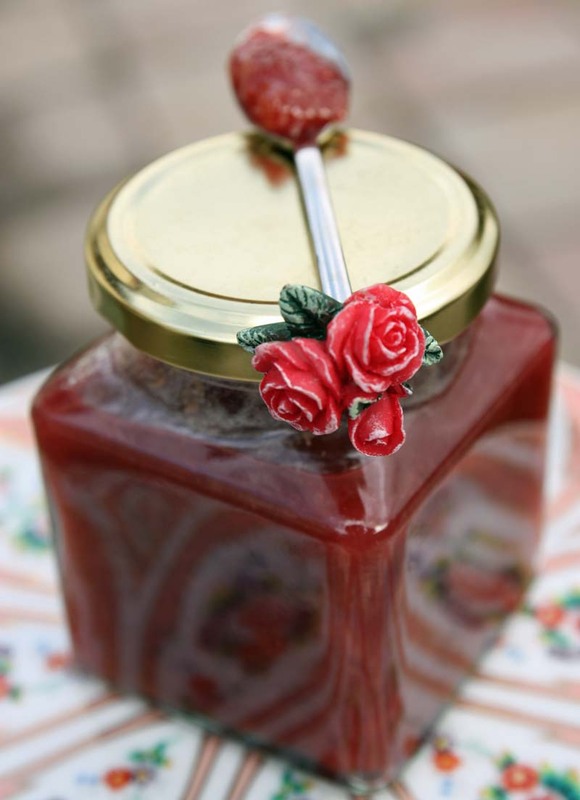 Shaheen made a wonderful post cataloging many jams and chutneys she has made over the years as holiday gifts. Pictured is Rose Petal and Rhubarb Butter which sounds – and looks – quite beautiful. 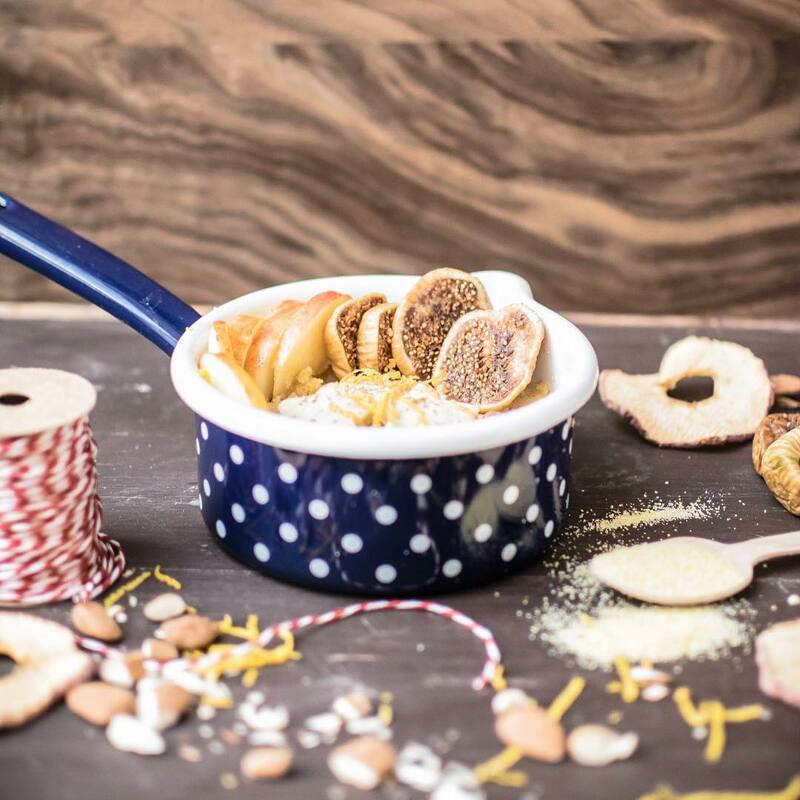 Cookies&Style made this lovely oatmeal with gingerbread which looks adorably festive and warming. The spices of the holiday season are one of the best parts! 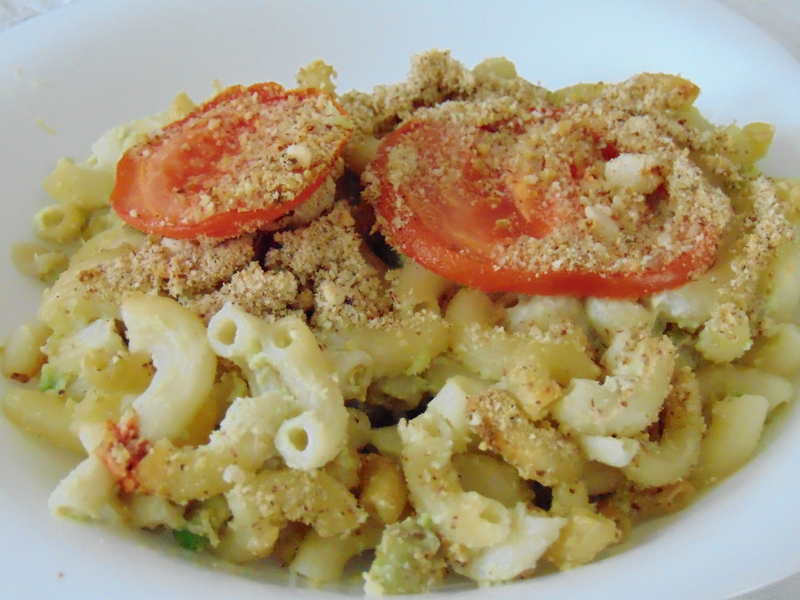 Finally, our own Jenny managed to sneak one final post into VeganMoFo today (we’ll allow it!). She posts a monthly “Cookbook of the Month” and this month she used VeganMoFo as her own cookbook! 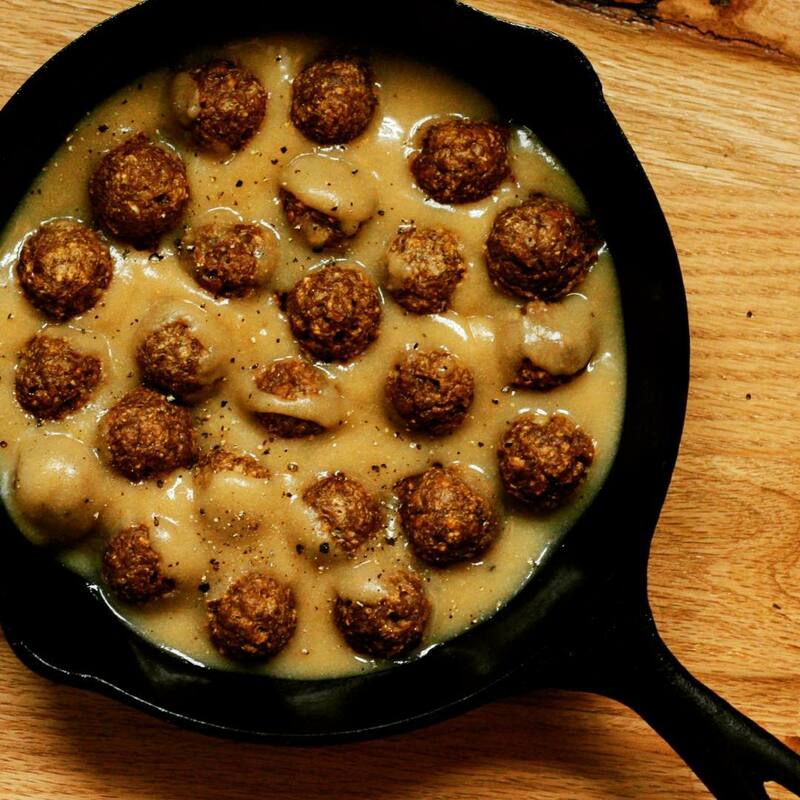 Featuring recipes from MoFo’ers across the board her post shows just some of the amazing recipes which have come out of this month. If you’ve found any recipes you enjoy, or food which inspired you this VeganMoFo I encourage you to follow her example – let the author of the post know how it turned out and how you liked it, as it’s great to get feedback on your food, and it means you can keep in touch and find more great recipes!